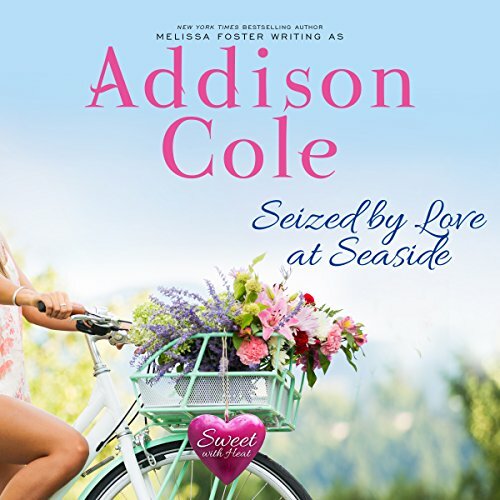 Seized by Love at Seaside by Addison Cole is the sweet edition of New York Times best-selling author Melissa Foster's steamy romance novel, Seized by Love (The Ryders). The stories and characters remain the same and convey all of the passion you expect between two people in love, without any explicit scenes or harsh language. Blue Ryder fell hard for Lizzie when he met her a year ago, and he hasn't been able to get her off his mind since. Everything about the feisty little brunette cuts straight to his heart. Though Lizzie has turned down every invitation he's extended - Blue is not about to give up trying. Addison Cole wrote a clean and captivating story with this book. I love it when an author allows the listen's imagination to take over for scenes behind closed doors. The premise of the Naked Baker was great. I love how selfless Lizzie was to provide her sister with the education she wanted. The relationship of Blue and Lizzie was one of friends to lovers, which is a favorite genre of mine. I loved Blue's pursuit of Lizzie. Lizzie had much to deal with in this book, her parental approval/disapproval was huge motivation for her to succeed. Melissa Moran performed the book beautifully with her eloquent narration and appropriate emotions. Love is the recurring theme in this book, and one feels good listening. The added humor in the story was great. I loved the friends help around the cabin. Can Blue get past Lizzie’s “interesting” way to make money? Lizzie Barber runs the local flower shop and Blue Ryder has been her friend since they met at the quadruple wedding of their friends in Seaside. Lizzie has had butterflies with him ever since. Blue is currently helping Lizzie with repairs in her home since he is a contractor, specifically her oven. Will Blue and Lizzie take the opportunity to move their relationship forward or will Lizzie’s secret webcast, break up their relationship? Is Blue able to accept the loving reasoning that Lizzie has this “interesting” webcast or will it become a deal breaker for him? Melissa Moran does a great job narrating, especially some of the more interesting scenes with frosting. Listening to Seized by Love is a wonderful way to learn about Lizzie and Blue and me able to immerse yourself completely in their world. Seized by Love at Seaside is a nice story of love and how far one will go for their family but also confronting the realities of technology and the role they play in our life. And a story that includes a hunk like Blue is never bad! I was fortunate enough to receive the audio book copy of Seized by love at Seaside, and it was the perfect listening experience for a busy commute to work. The narrator is always enthusiastic, clear and adds the right amount of emotion to scenes of the story. Listening to this book took nothing away from the story and as this one contains the 'Naked Baker' i found it more entertaining as an audiobook. I adore Lizzie as a character and this book has always been one of my favorites. It is well worth the purchase on audible and will continue to have you hooked like all of Cole's other works. It is the perfect baked sweet treat. He wouldn't give up on her no matter how long it took. She finally gives in but keeps her secret from him. They grow closer and cheesecake her secret and he almost left but the love he has for her made him return. They grow deeper in love and make it thru the worst of times. Beautiful love story. The build up between Lizzie and Blue has been simmering for over a year. It’s time to take these two beyond the threshold and into each others’ lives. Blue has been asking Lizzie out even though she repeatedly says no. They eventually get to the point where no just isn’t possible. Lizzie has secrets that she is keeping from both her friends and her family. How will Blue and others close to her react to this? I enjoyed listening as Lizzie and Blue pushed beyond their boundaries. Watching them both work toward a common goal was magic in the making! Even better a second or third time. I've read this book a few times, I've lost count how many times I've read this and I will say it gets better every time. Only difference is that I was able to experiance it though audiobook and it was a whole lot better. Sometimes while reading I tend to skim over things and not notice but was able to focus on what's being read a heck of alot more. 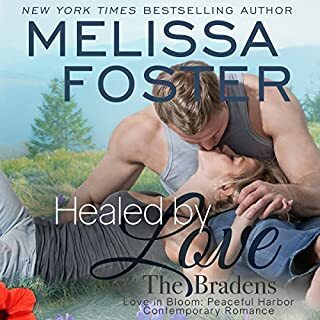 I think the women Melissa Moran was nicely chosen for reading this book and series. As for the book it's no surprise that I really enjoyed it I mean why else would I read the book multiple times? I loved how loving, thoughtful and resorceful Lizzie was. She put her love life on hold while doing the web show that's helping her achieve her goal of running a flower shop and help pay for her sister's education. I loved how patient and caring he was he liked Lizzie so much and didn't give up on her and again it was interesting to see how they both handled things when secrets were spilled. Leaving the readers to question is what they have enough to look past Lizzie webcast. Then there's the whole breaking the news to everyone she knows about this baking thing everyone is obviously have different reactions. Overall this is a pretty great book and I really enjoyed it. Definatly would recommend that you readers check it out but as an audiobook as well. Liked that I was about to follow along with the book paired with it. Seized by Love at Seaside is the seventh book in the Sweet with Heat: Seaside Summers series. Lizzie and Blue have known each other for a year. And from day one Blue has known Lizzie is it for him, but convincing her of that is not so easy. Lizzie has a secret and that secret is what has been keeping her from accepting Blue’s invitations. Will she be able to keep turning him down? Or will Blue wear her down and convince her to accept? This was a fun and enjoyable book. I really enjoyed the narrator as well. I definitely recommend it. I was given the opportunity to listen to Seized by Love on Audiobook and oh my goodness am I in love. 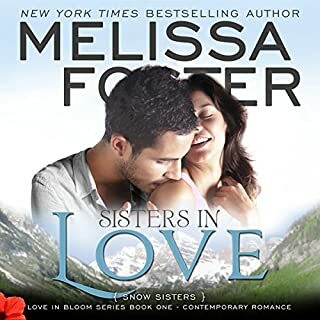 Melissa Moran truly brought this love story to LIFE. Last time you encountered a problem, how did you choose to attack it? Well, in this case Lizzie Barber had one problem, money. Lizzie fortunately knows that she has a few amazing skills that she can put to use in order to resolve her money issues. The result the Naked Baker. While Lizzie is proud of her ability to resolve her financial struggles at the same time she is terrified of anyone knowing of what she does in her personal time. For a long time she could keep men at bay and in turn keep this "naked baker" side of her covered. That is, until she meets Blue Ryder. Blue is the one that truly gets Lizzie to open up and be her true self. 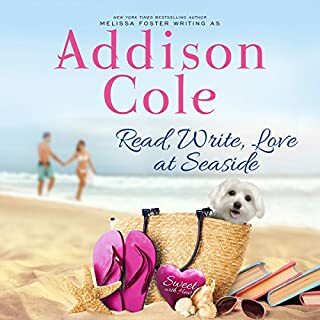 I always enjoy Addison Cole’s books. In this book, we get to meet and spend time with Lizzie Barber and Blue Ryder. These two are amazing people all on their own and they are always going above and beyond for their families and others especially Lizzie. They have an amazing friendship and Blue wants to take that friendship into a relationship however he’s been hurt in the past and Lizzie has a secret that she is afraid to share with Blue much less her family and best friend Sky. However they decide to take a chance and as they become closer, Lizzie decides to share her secret with Blue. Blue feels as though she is like his ex and they have to work to keep what they’ve worked so hard for. I appreciated that Blue was willing to sit down and talk to Lizzie about the situation and that he even went as far as trying to mend fences between Lizzie and her father. I was rooting for these two the entire time. Blue and Lizzie are definitely an amazing couple and I’m glad that they navigated their roadblocks to become a stronger couple. 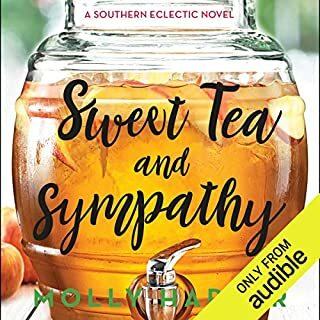 I listened to this audio book narrated by Melissa Moran. I feel like she always does such a great job narrating Addison Cole's books and is very consistent with voicing all the different characters we meet when we listen. Blue Ryder has been Sky Lacroux's plus one for the past couple of books but now that she found her love, I am so excited he now gets a book of his own. He is such a sweetheart, I want him to find his happily ever after. Blue has been smitten with Lizzie since she was the florist for the Seaside girls wedding a year ago. The chemistry & heat between Lizzie and Blue is unbelievable but Lizzie has a secret that keeps her from having a relationship but Joe is determined. They have some issues to overcome. Will they be able to get their HEA? I really enjoyed this book and highly recommend it, however, the one small problem was that I was disappointed that not everything worked out for the lead couple. I know not everything works out in real life, but I’m one of those people that reads these novels for everything to be sunshine & happiness when they are done. The narrator, Melissa Moran did an awesome job bringing the story to life. Her voice inflections were amazing, I had no problem differentiating each character even though there were so many different people to voice. Blue is a man after my own heart, he is loyal, loving, caring and madly in love with Lizzie. Lizzie loves Blue but holds back and he does not understand why and when the reason comes to light it's a case of can there love overcome anything? Addison has done it again, I can't seem to stop listening to her books and I don't ever want to. I cannot wait for the next audiobook, it's heavily anticipated. I loved this story. Blue Ryder has been trying to get Lizzie Barber to go out with him for over a year. She has been resisting as she has a secret that she has never shared with anyone. While Blue is fixing her kitchen he asks Lizzie for a date, she finally says yes. She sees that there is a life outside her secret, it also reminds her that she needs to come clean with Blue. When he finds out she is the Naked Baker he cant hide his feelings. Lizzie then tells her best friend Skye and then her family. Her father stops talking to her. When all seems lost Blue comes back, he cant live without Lizzie. Blue is my new hero. Look forward to seeing more of him and Lizzie in upcoming books. Great narration. Another sweet story to escape in. We've met Blue on and off for a while now at Seaside and it is great to see him getting his own story. Since meeting Lizzie, Blue Ryder has not stopped thinking about her. He's been friends and tried to get close over time, but to no avail. Blue gets turned down by Lizzie regularly and is at a loss as to why. He takes on the job of renovating her kitchen in the hope it will bring them closer together. He has had his heart broken in the past, and he hopes that Lizzie wouldn't do that to him. Lizzie runs a successful flower shop, but to help pay for her younger sisters college education, Lizzie has had to come up with other means of making money. Her idea, The Naked Baker, is a huge success and with her business skills, Lizzie ensures that her sister has all the help she needs for college. However, Lizzie has paid a price. She has decided to put her social life on hold as she doesn't think she can let people into her life until she can stop the webcast. The status quo is rocked by a powerful kiss one night, and everything changes, bubbles burst and secrets are revealed. Will love be enough to put it all back together? This is yet again written so sweetly, that you cannot help but fall in love yourself. If you want a place to escape to, I cannot recommend Seaside enough. Melissa Moran narrates this story beautifully, and makes it so easy to listen too. I love listening to my favourite authors, as it means I can listen while I'm supposed to be working or they make car journeys so much more fun! If you haven't tried an audio book, give it a go, you won't be disappointed.